. :The Blues Foundation :: News. 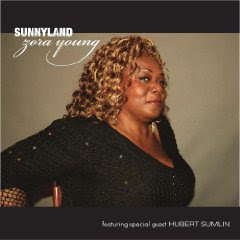 TODAY’S CHICAGO BLUES: CD Review: Zora Young, Sunnyland. Cool, jazzy footage of Ella doing the Cream’s classic via SqueezeMyLemon. Somehow, she makes it sound more urgent. SqueezeMyLemon: Sunshine of your Love. A great video clip yanked by the Blues Historian from one of the Harlem Hollywood films — this is frequently a Blues UÂ® selection, since it is an artifact of an era in which blues and blues-related artists were portrayed with a sophistication that often isn’t even the case today. These films included the immensely popular artists of the day like Louis Jordan, boogie pianist Albert Ammons, and his contemporary featured in this video, Maurice Rocco. Blues Historian: Maurice Rocco With Mabel Lee: Beat Me Daddy. 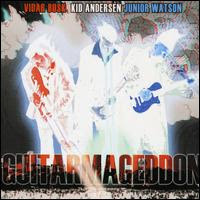 Cahl’s Juke Joint: A rock, blues and jazz blog: Vidar Busk, Kid Andersen and Junior Watson: ‘Guitarmageddon’. SqueezeMyLemon: King of the Whammy Bar (UK). Singer Jesse Fortune, best known for his song, “Too Many Cooks”, (later successfully covered by Robert Cray), died literally onstage — somehow a fitting end for a great stage performer, but nonetheless sad news. soul sides: TRY IT, LIKE IT, THESE RAPTURES OF THE DEEP.